$15/month includes 3 users. Take higher plan for more users. Pros: It is extremely easy to use and very user friendly and intuitive. My work from home staff never have an issue with it, it has never affected our system or our operation and works quietly and reliably in the background. As the work from home manager, I find the reporting easy to generate. We don't need a complex system and Hivedesk gives us the information we need without a lot of clutter to effectively manage our remote staff. Cons: There are only a few minor issues. One, when installing, the client itself is easy to install but you usually have to update your Java on almost every new install. Hivedesk does provide a link to update Java when needed which is nice, but it has to be done on most installs. Secondly, while there response through the intercom message system is fast and very effective, it would be nice if they had a live support or customer service number. Overall: Our experience with Hivedesk has been stellar and in fact we have recommended it to many of our clients as well. We have a large contracted services footprint and many clients have asked us how we manage it and we have told them of Hivedesk. We love the ease of use and simplicity of the client and interface. 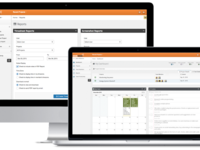 Pros: Hivedesk allows us to manage remote workers in multiple time zones and locations. One of the challenges with having remote workers is you don't have the same ability to see they are actually working as you do with in office workers. We use a number of hourly freelance workers and Hivedesk gives us screenshots shots and activity rates to ensure they are working the hours they are billing us for. Its not something we monitor all the time, but rather use as a tool when we think there is a performance issue. Cons: We have had the occasional setup issue, but this is usually resolved quickly. Pros: We love hivedesk. It allows us to track peoples use and find areas of weakness. Their price level is perfect for us and we love their reporting. Cons: The one report I want they don't have. We have a request in, but we have not gotten it. Outside of that, very impressed with solution! Overall: In today's world, remote work is a given. We use this software to handle those challenges. We tried a lot of the competitors and for many reasons hivedesk won. Plus, team loves their support. Fast and attentive. Pros: This software is fantastic for tracking hours. 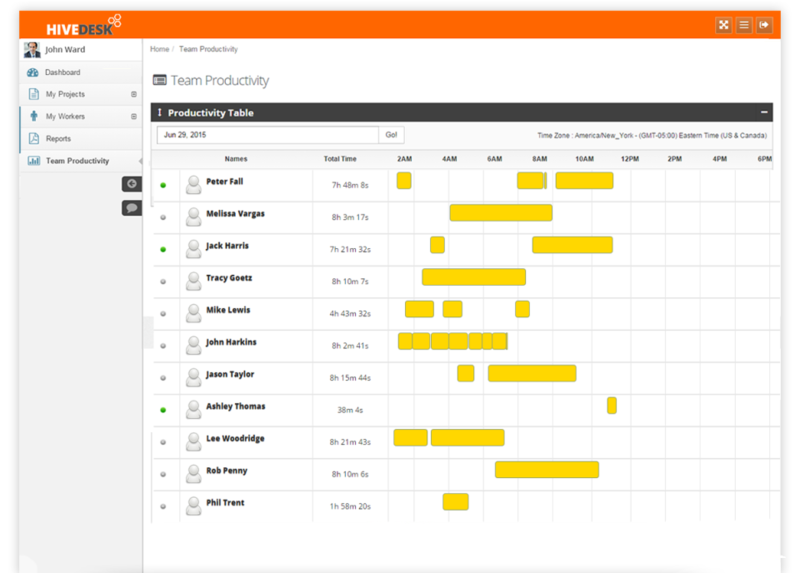 It also does a great job of determining how active employees are with their work with the active time feature. 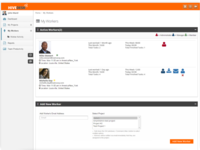 It has other features that allows you to check in on your employees (in house or remote), if needed. Cons: No negative feedback. The program provides everything promised and more and is easy to navigate! Overall: I often work remotely and the program allows me to easily check my employees hours for the week and address any concerns. If employees active time is low I can determine why by the screenshot feature and address with the employees any concern I have about their work product. 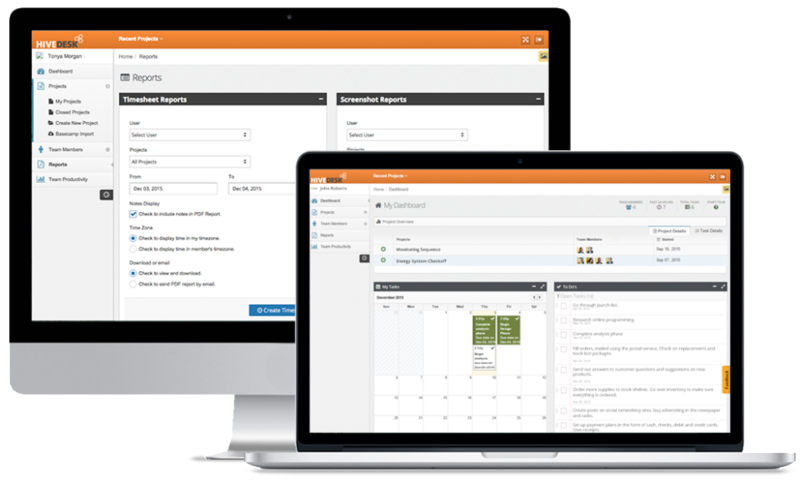 Pros: Able to track remote resources, view screenshots and create timesheets in one place. Cons: Had situations where sessions or session comments are not being logged. Although we receive support for this issue the resource still have the same issue occasionally. We wish logged hours would be against tasks as opposed as against projects. We wish there would be reports using tasks as opposed as projects. Cons: I would say that it would be useful to have the full list of screenshots for a session open in lightbox right from the project page, rather than clicking into the session first. Overall: It's an effective and reliable solution for remote workers. I have not had to worry about anything since setting it up. 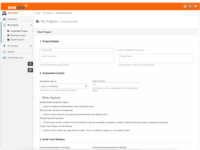 Pros: It is very easy to use, I don't have to explain much to my workers about how to use it and when I add tasks my works get a notification right away. Overall: It helped me a lot in my small business because it helped me see when they were working and the screenshots of their computer helped me a lot to show my supervisor what they have been working on etc. 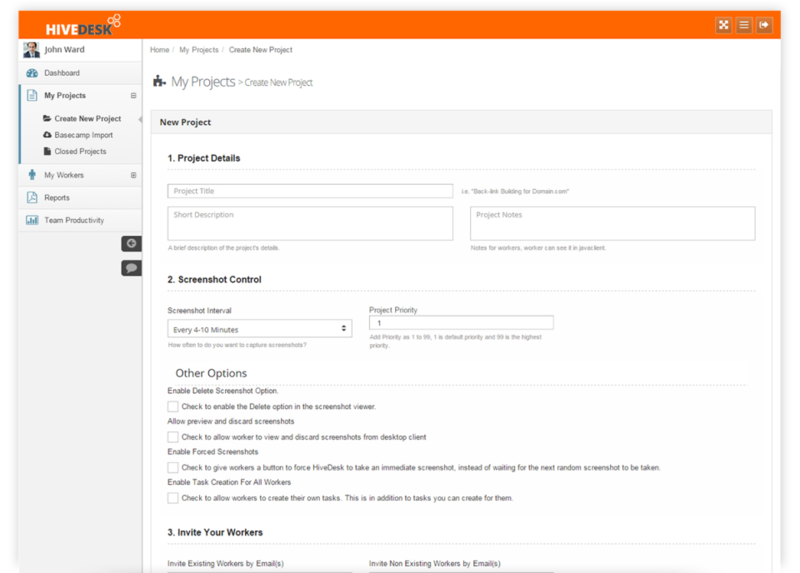 Cons: Their is no overall dashboard that makes it easy to see at a glance the health of projects. There is no tracking of progress on tasks. 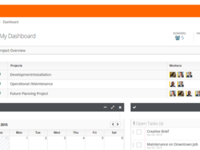 Ideally would want it to be a hybrid of project management with the task details that Basecamp already has. Great tool for outsourced staff! Cons: No real integration with other systems. 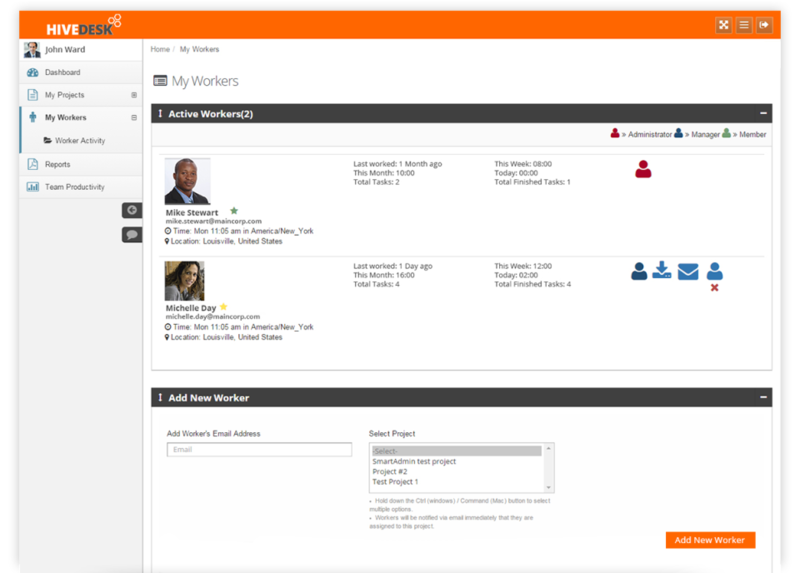 Overall: Hivedesk is an amazing tool for business owners that are using outsourced staff. It gives you the ability to see the screen shots of what your staff is doing as they are logged in, report hours, keep them accountable, organize your time by projects and print off payroll reports. For the hands on business owner that pays by the hour this tool is a lifesaver. Recommendations to other buyers: If you are outsourcing and paying by the hour this solves a lot of problems. Pros: The ease of signing up and implementing the software. Cons: Having to set up "groups" to put people in - it would be easier if you could just add staff members to the software without having to set up an entire group. Pros: This keeps remote workers accountable, where the other option is I trust that they actually did the work. It also makes payroll easy when I can just pull up a report. Cons: I'm not 100% sure how relevant the "Activity" feature is because I use the service for calling agents. I'd like to be able to pull up a video of exactly what they were doing so I can assess the speed of their work. Overall: This had made scaling easy because my talent pool isn't limited to where our office is for work that can realistically be done from anywhere. Pros: Screenshots are a great feature. Also, the timekeeping is very beneficial as well. Cons: We have used it in the past with all of our staff across the board and it was wonderful. My only complaint would be that we could not fit our whole team in a project it required me to create multiple projects. Overall: Very well, great customer service. Pros: It is easy to use and it has functionality that we need. Customer support is great. Cons: Inability for the admin to move hours from project to another. It is difficult to zoom in and out the snapshots. When a user runs a report to verify his time, it is not possible to sort by time. WE had a lot of problems with the client app. Cons: I would appreciate a 1099 feature so that all I have to do is hit a button and it would calculate the form and have it filled out with my subcontractor's information and total paid for the year. Overall: My subcontractors love it, I love it It's a win/win for all of us. 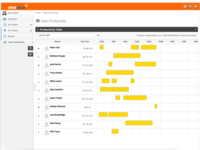 Comments: We use HiveDesk for task management and time tracking of our remote workers. So far, we are very happy with it. It is updated regularly and their support is good. Overall: I still love hive desk, i would love it if instead of having to log in, it immediately begins capturing photos rather than employees having to log in.